NEW for Seekers of God's Word! Now you can get a Unique, One-of-A-Kind, Words from the Bible in Twenty-first Century style. 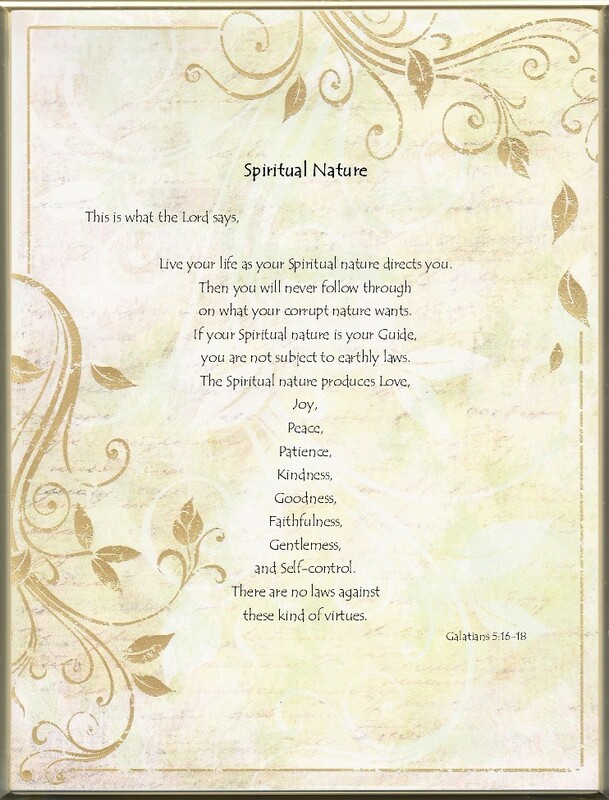 This Biblical, 8½ x 11 inch, Custom Printed, Words of God has Gold metallic Curls and leaves at two corners on an antiqued, natures bliss background.